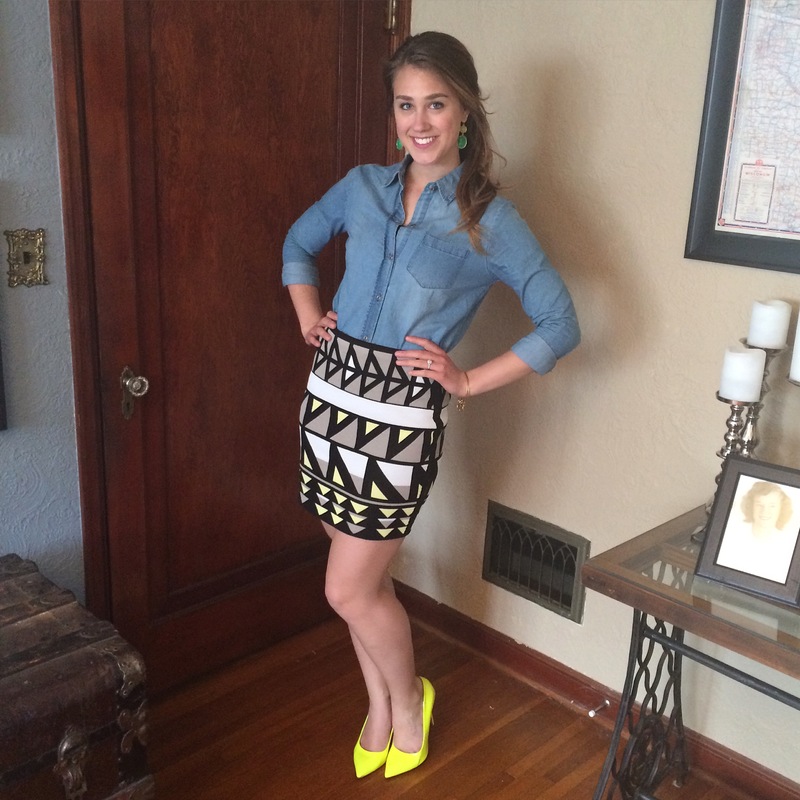 What do neon yellow, geometric patterns, and denim have in common? They make for a fantastic outfit! Denim shirts are a staple for every closet. I personally own four, all of varying shades; ranging from dark wash with studs, to pale and lightweight. For this particular outfit I used my medium washed Else denim button up and added a RACHEL Rachel Roy geometric skirt, both from Macy’s clearance last summer. The skirt is made of a thicker, sweater material, giving the outfit a relaxed feeling. You can always tell when a woman feels relaxed and comfortable in an outfit, it shines through. Accessorizing is the key to dressing denim up or down. In this case, I used colorful heels and earrings to keep it more chic and flirty. 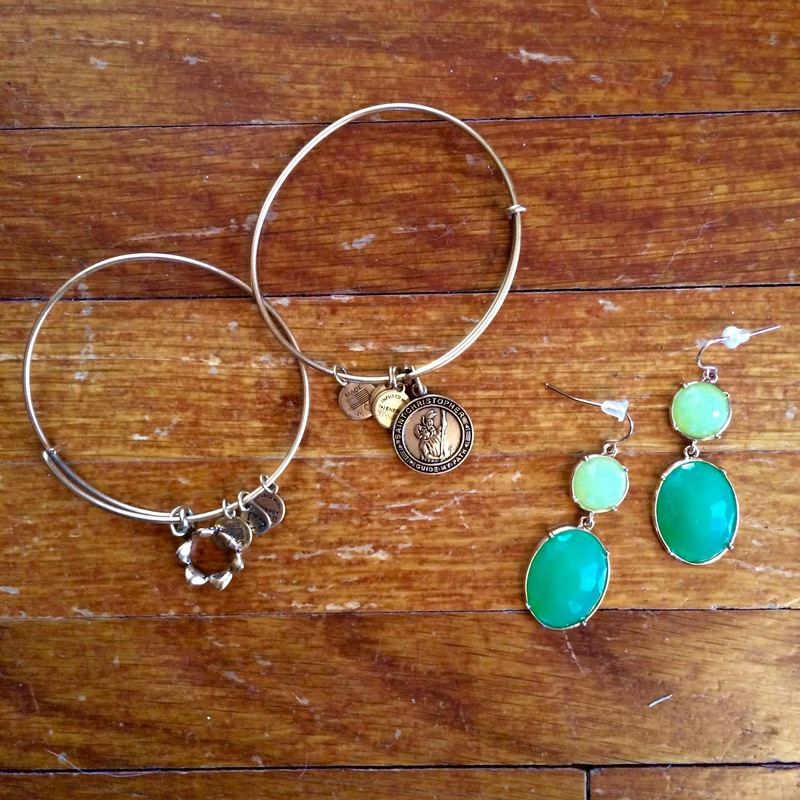 I also added several bracelets from Alex and Ani. I’ll definitely be doing another post highlighting this great jewelry company, I can’t rave enough about their stylish bracelets. My next item I’m on my list is a denim dress. There is one inparticular that I spotted during my last trip to the Forever 21, the “Buttoned Denim Shirt Dress” in medium denim. I’d love to know what else everyone is stocking up on as the warm weather arrives. What is your denim must-have this summer? Loved it! The neon heels really made a huge difference on the outfit! Neon always adds that perfect punch of color. Thanks for reading!